Presumably named after the Soul legend Sam Cooke, these twin bars in Hyehwa are all about that retro vibe. 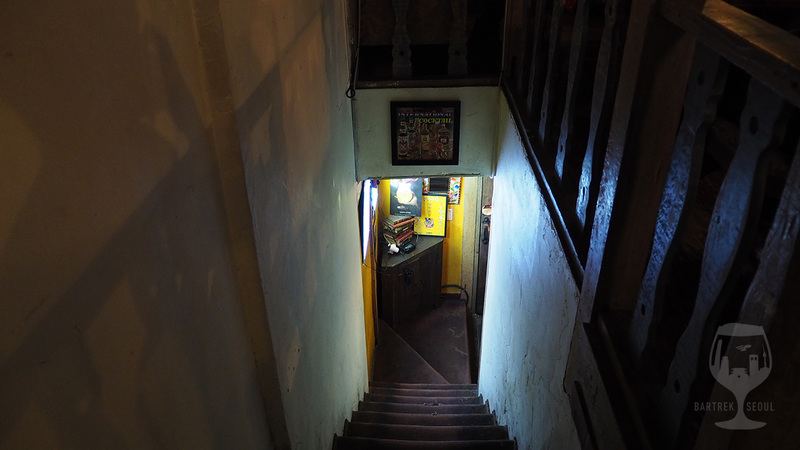 Neatly tucked behind the noisier main streets of this university area, you can find not only one, but two Sam Cooke bars, and this is about the one with the outdoor upstairs seating. On the menu are a few basic draft beers and a bigger bottle menu, a surprisingly long list of wines and a few food options. The main reason, however, to visit Sam Cooke is the unparalleled atmosphere. Dark interior, fairy lights, upholstery from a time long forgotten and a sound system so wooly that it makes even kpop sound like 70s soul! The seating area continues at the balcony side. 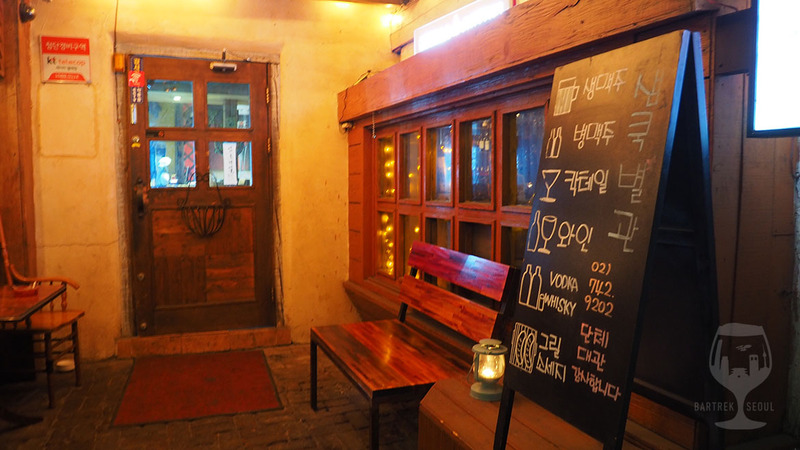 Draft menu prices vary from 4.000 to 10.000 won. It’s all in Korean, but even with very limited reading skills it is possible to make out the beer names. 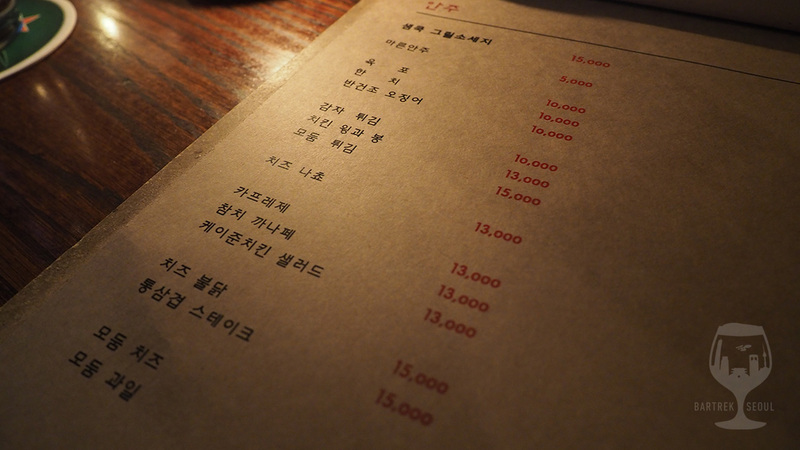 The menu is all in Korean, but with a little practice you can make out the original names. From top to bottom you find Indica IPA, Saison Sauvin, Guiness, Stella Artois, Köstritzer and OB Pilsner. Below is the set menu where you can order 3 beers with grilled sausage, cheese nachos or chicken salad. In other words a limited, but tasty selection of drafts covering both dark, light, bitter and fruity beers fresh from the tap. 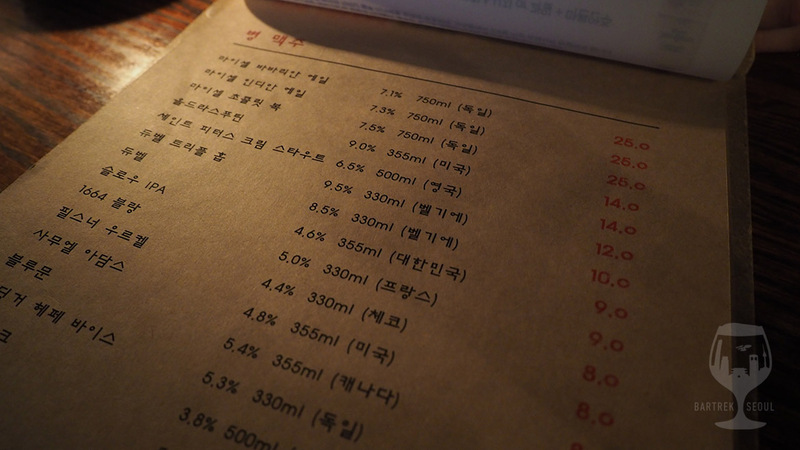 All these beers are common finds around Seoul, and while the menu changes from time to time Sam Cooke seem to always serve Indica and Köstritzer. 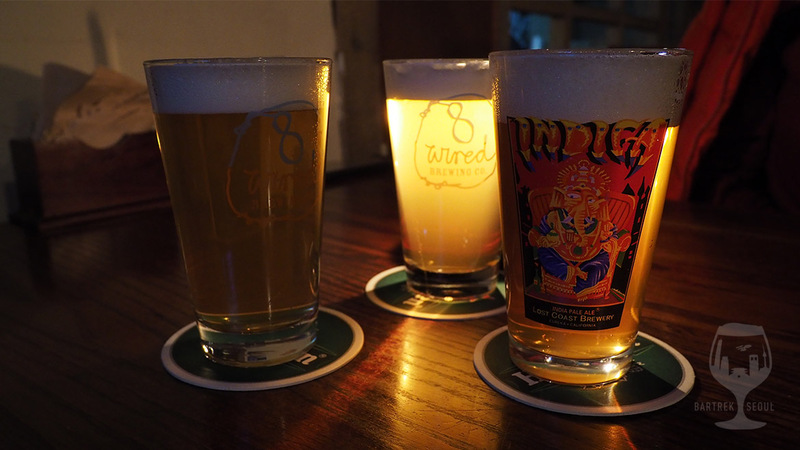 Indica is a decent standard IPA and the Saison Sauvin is great on tap, and I would say all the draft beers go well with the general low-fi atmosphere. It really gets your shoulders down! Indica IPA and Saison Sauvin at Sam Cooke! 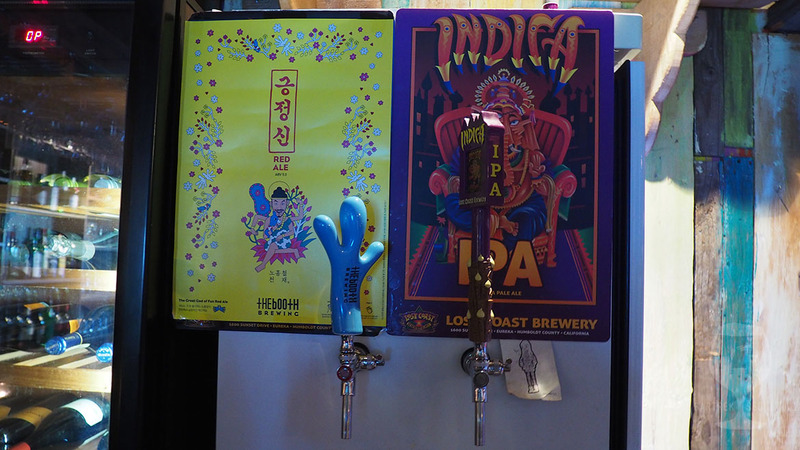 Indica and the Booth’s Red ale on tap. We didn’t see the Red Ale on the menu tho..! Bottled beer menu. You can see their bottle selection downstairs if you can’t read Korean. Mostly import bottles. Slow IPA is the only Korean bottled beer (9.000 won). In addition to the draft beer menu, Sam Cooke has a selection of bottles available. 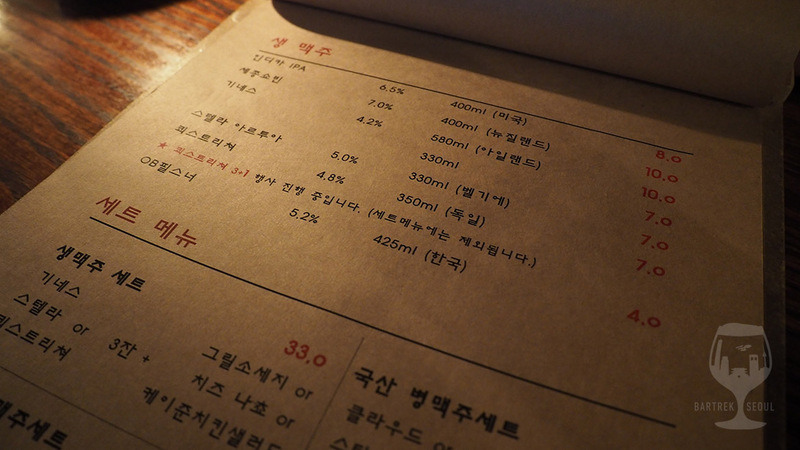 These are mostly import beers, Slow IPA being the exception, and again the menu is only in Korean. If you cannot read you can go down to the bar and see the selection for yourself, or ask the friendly staff for help. Behind the bar is also the customary display of whisky and liquor if you get in that mood after leaning back in an old Winchester knockoff. On the food menu the grilled cheese platter is our recommended choice, but there are plenty of other choices ranging from chicken and salads to canapés. Also not pictured is the wine menu, which normally includes both red and wine house wine in addition to plenty of bottles in every price range. This food menu. The first on the menu, grilled sausage platter (15.000) is the way to go in Sam Cooke if you’re hungry. Enough for 2-4 people depending how hungry you are. We didn’t have it this time as we came to Sam Cooke right after dinner. Around the “living room” they have a balcony that’s also full of seating and super nice even in the winter as it’s heated up. They always play a movie. This time is was Miyazaki’s Spirited Away. Adding to the atmosphere is the previously mentioned wooly sound system, which makes it hard to guess if the music playing is modern or actually from the 70s. During our latest visit to Sam Cooke the music played ranged from modern Western pop hits to old Korean progressive rock, and it all fits! 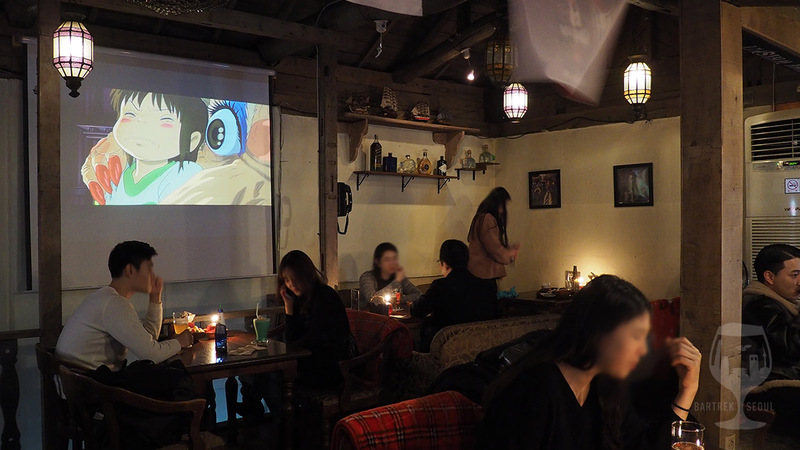 There is always some movie playing (without sound) above the stairs, and tonight’s reel was Spirited Away, introducing a bit of colorful psychedelia between the chatting couples and groups. 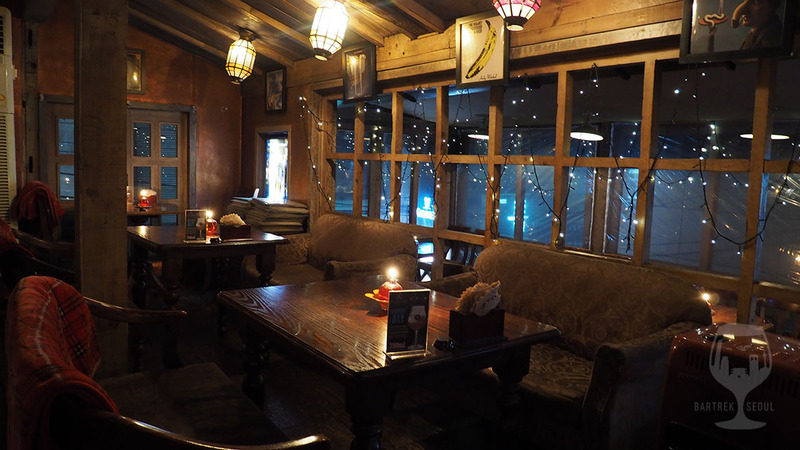 Located in the heart of Hyehwa, most of the guests will be young university students, either in groups or in pairs, and on a weekend Sam Cooke is quite lively, but never noisy. The sofas upstairs are normally your best bet, but on a chill summer night little beats the balcony seating. If you are lucky you can even get a close encounter with some of the local street cats trekking along the hanok roof ridges! 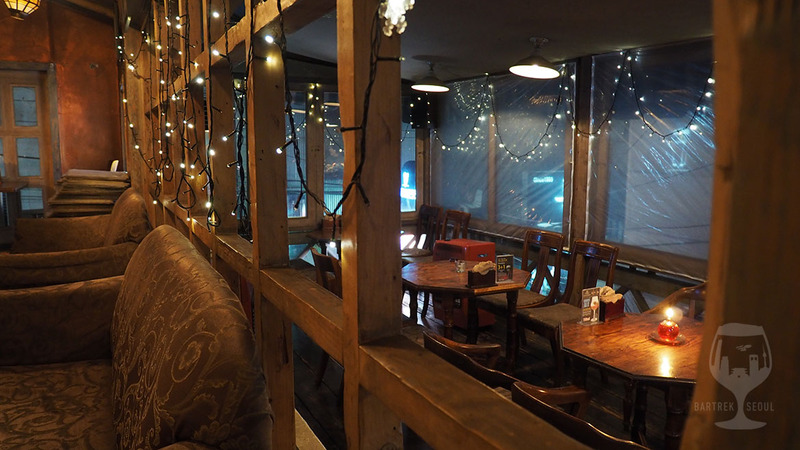 Get a table upstairs, that’s where the atmosphere is. The entrance. On the opposite side of the street there is another nice bar called, oldies. They only play LP’s and you can request songs. A worthy 2차 (second round) after Sam Cooke. 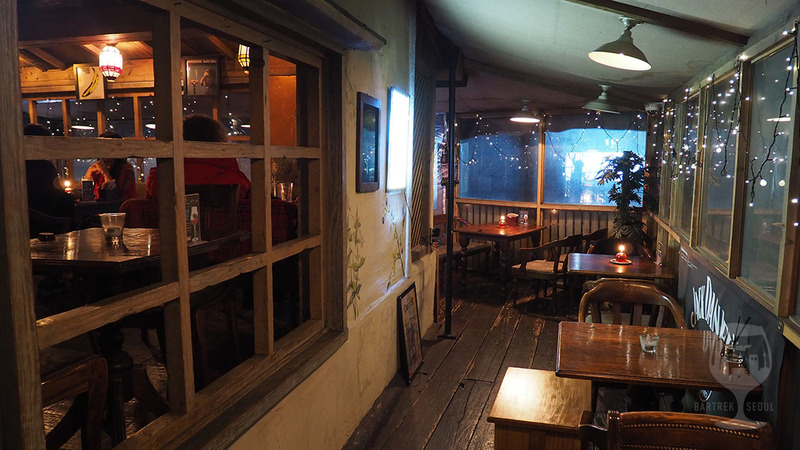 There are actually two bars called Sam Cooke in Hyehwa, but this one is our go-to. 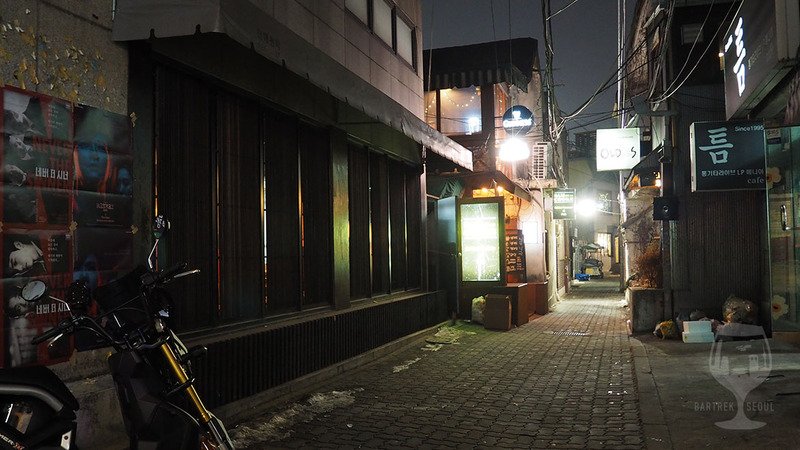 Another classic backstreet location in Seoul, but only a few meters of the busy streets, we recommend following the map if it is your first trip here. 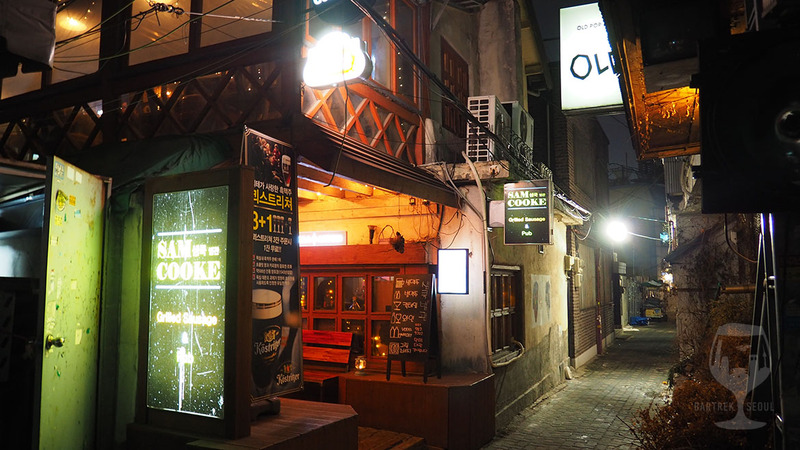 The small streets in Hyehwa is where you find the good places, though, and just across from this Sam Cooke is Oldies, a recommended LP bar. 2차, anyone?